What happens when an independent international student, studying English in Vancouver for a year, becomes part of a tight-knit group of classmates and falls in love with a Canadian who is struggling to determine the direction of his life? Written as a fictional diary, the novel recounts the life-altering experiences of Erika. 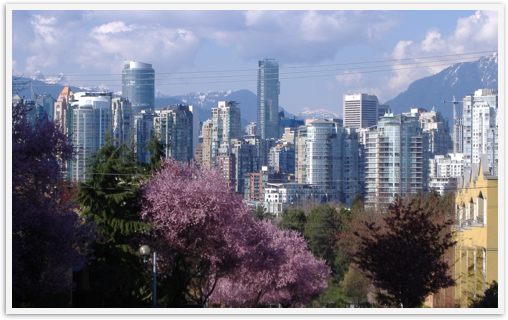 Vancouver Memories: My Year Abroad is a human relationships novel, a coming of age tale, a travelogue, and a photographic reminder of why Vancouver is such an easy city to become attached to. The photographs of seasonal cultural events and the places that students routinely visit during their stay in Vancouver—from Victoria to Whistler—form a backdrop to the action of the story and provide additional insight into the life of international students in Canada.